The regulation of foreign investment in China: seeking a level playing fi eld? 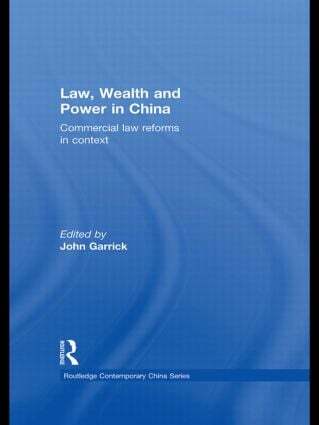 PART III Wealth and law reform: capitalism with Chinese characteristics? Where are China’s economic and legal reforms taking the People’s Republic: democracy with ‘Chinese characteristics’?